Priscilla the Dinosaur– She WALKS, she ROARS, she’s ALIVE !!!! 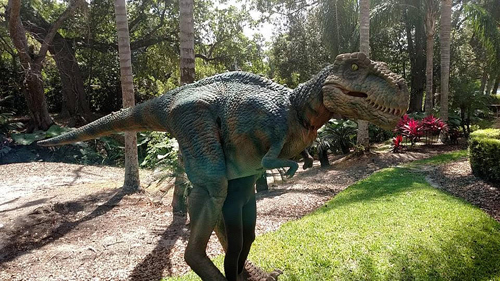 Touring with her own handler (to make sure she behaves), this realistic, life-size dinosaur thrills, excites, interacts and entertains….she‘s so real that your guests will not believe their eyes. Blinking eyes, a working mouth and that bigger than life, totally realistic ROAAAAAAAR!